Maurice Combier, a visionary, converted his property to organic agriculture in 1969. Laurent Combier (Maurice's son), follows the same path with the conviction that superior wines result from the utmost respect for the vineyard. Consequently, all parcels grow the best vine selection to preserve the authenticity of grape varieties. Maintenance is finely adjusted for the soil composition, moon cycle, and the life of the plant: balance is the key. 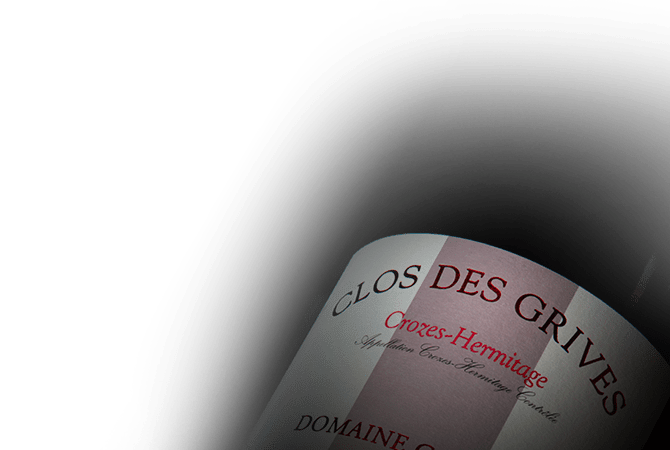 Clos des Grives remains the core of the 25-hectare Domaine Combier. The 9,5-hectare parcel located south of Crozes-Hermitage appellation is Domaine Combier's memory (with 4 hectares planted in 1952).